Volleyball practice plan is important to your success as a coach. You need to learn how to design a practice and teach the important skills of volleyball. When first coaching a new volleyball team, you need to start with the basics. The following are important skills players need to master before moving on to the more important skills, drills, and strategies of playing volleyball. The elbow to wrist technique is a skill for spiking a volleyball. This spiking technique is a skill that needs to be developed early. 2. Platform elbow to wrist. The next step of spiking is learning to spike down over a net. 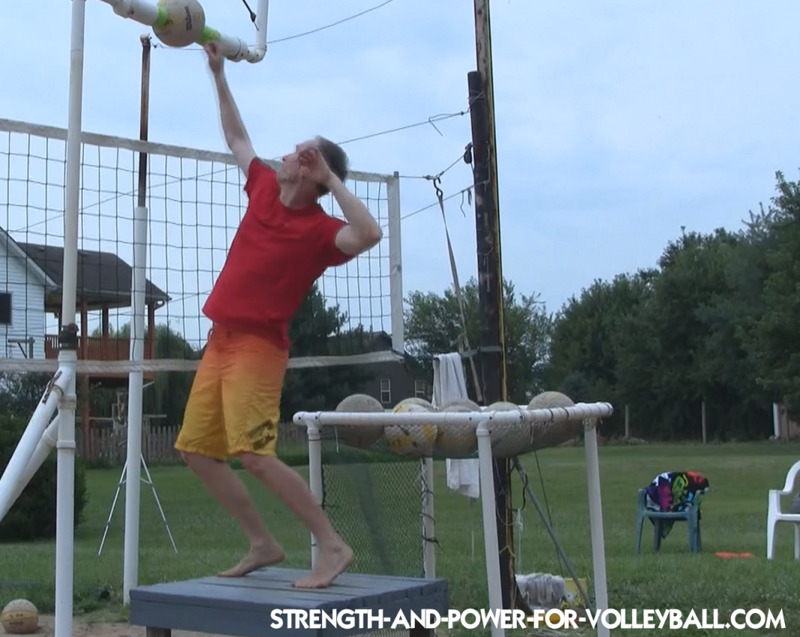 It's important to first learn to spike a volleyball from an elevated platform because it's much easier to just focus on contacting the ball rather than trying to learn the entire volleyball approach and volleyball footwork all at once. You really need to get players contacting the ball right really soon. Contacting the ball the right way is really important. Creating topspin is important for greater ball control and accuracy. volleyball practice plan blocking You want your players to learn techniques for blocking early on in their career to avoid creating bad blocking habits. Especially when players are young, blocking isn't taken very seriously because of the many unsuccessful block attempts. Most 12 and 13 year old kids only get their hands but a few inches above the net when they block. So from early on, poor blocking habits such as not penetrating the net, not blocking the crossing space, and reaching high instead of taking away area are created. You can avoid these poor habits by first learning good hand positioning and having players block balls successfully on a lower net or while standing on a platform at the net. The three person defensive drill is great for players learning anticipation and not give up on one another. Often when first learning to play volleyball, the tendency is to watch your teammates make the play and not be ready to help out after the ball is passed. Three person defense is a drill where the object is to keep the ball in play no matter what, never giving up on your teammates. 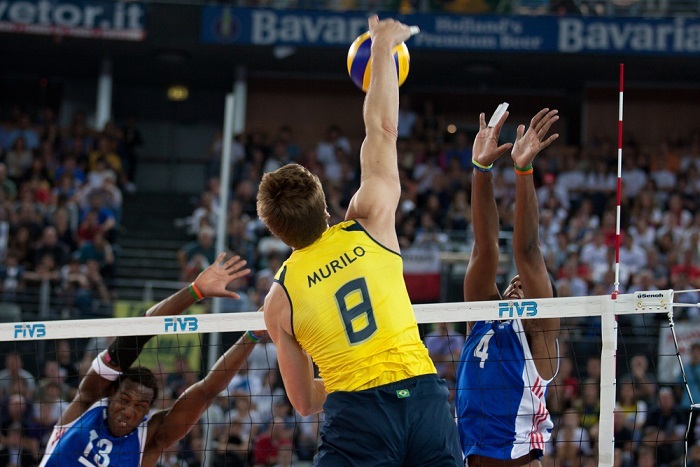 Learning how to serve is one skill in volleyball every player needs to learn. Especially if your contact and arm swing isn't well developed, use serving as an opportunity for more repetitions working on contacting the ball correctly. Serving is also very important for winning. Every team can learn to serve tough serves. It's just a matter of being disciplined and putting in the time to develop serving skills. 7. Error correction slice game. A slice game is basically played by slicing up the court. 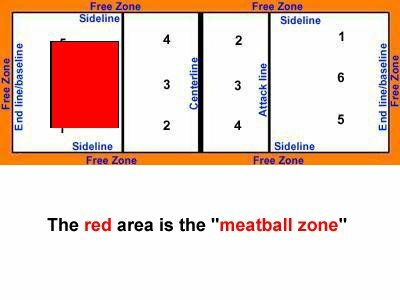 For example, one team defends zones 2 and 1 while the other team defends zones 4 and 5. This is basically a cross court scrimmage. This drill is great because it's much less chaotic than a regular scrimmage because the court area is smaller. The area of court to hit into is much smaller which makes it much more difficult to put the ball away for a kill. There is also much better ball control, so the drill has many more good repetitions and longer volleys. 8. Team warm up exercises. Every volleyball practice plan should have warm up exercises. Every practice have your team perform a warm up routine. Just by spending 5 or 10 minutes a practice warming up in the beginning can make a huge difference in long term benefits of injury prevention and improved athletic performance. Just 5 or 10 minutes a day of low impact plyometrics and speed drills will go a long way. The meatball drill is great for both serving and passing. This serve receive drill is great for teaching servers how to be deceptive with their serves. Also, this drill is great for passers to experiment with where to start on the court for serve receive. Also, the passer develops skills for anticipating the server and becoming more comfortable moving to get in position to pass. How you design a volleyball practice plan really depends on the current skill level of your players. For example, you may notice that many of your players have a poor contact when they spike. Lets say for example, every time a player spikes the ball, the ball floats out of bounds. In this case, a much greater amount of practice time can be spent on practicing how to contact the ball (elbow to wrist and topspin drills). Higher level teams are more skilled and therefore you would need to spend less practice time on developing skills. How skilled your players are. The more skilled the players, the more time can be spent on other things such as strategies for playing defense and running the offense. How much your players are willing to learn. Some kids want to play volleyball just to have fun and use it as a way to socialize. If your players don't want to learn then you'll have to design practices that are more focused on fun drills and less on developing skills and playing strategies. How much your players buy in to what you're teaching. If your players don't buy into what you're teaching, then it's going to be hard to run great practices. Often a coach can't get players on the same page and end up running practices that are more like scrimmages with less skills training. How well skilled you are as a coach. If you don't know that much about volleyball, then your practices are going to be a lot different than a coach that is more knowledgeable and experienced.